Microsoft's latest novelty might change the way we use computer, with the debut of Windows 10 Sets. Also coming is an update for its 3-year-old Windows Insiders program for those who want to experience firsthand the pre-release software. 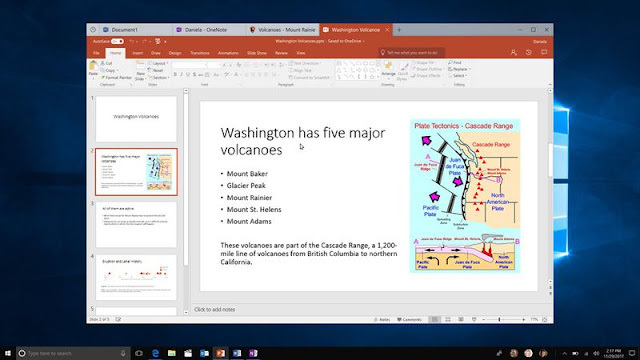 The new Sets feature will bring groups apps, browser tabs and documents together as tabs, which is typically outside normal use case of various apps running in windows. Its invariably a work space setup in which one tab could serve as a Word document, another PDF file and a third may be a PowerPoint presentation you're working on, altogether. The upcoming Timeline sync feature, which brings your activities from other devices so you can pick up from there regardless of your current device, will also work with Sets. Terry Myerson, executive vice president of Microsoft's Windows and Devices Group, called it an easier way to organize your stuff and get back to what you were doing. Microsoft is letting users test it and report back on what they like and don't like, and, it isn't quite contrary to the hopes of getting lots of users for the test. Akin to the release of new features for its public testing Windows Insider service, which avails the company invaluable insight from the community. Albeit, Microsoft had always offered pre-release versions of its software for years, but it typically happens after new features have been decided, and not when they're still being considered. For a big tech vendor to be this open with product development, isn't quite common. And if it should turn out that people hate the feature, will it be enough to result the applying of a kill switch?